The fastest one gets the treat! NASA’s Solar Dynamics Observatory just celebrated five years since it’s launch on February 11th 2010. Some people think the animal kingdom is a savage world filled with vicious predators and helpless prey; everyone else has seen this viral video of a dog valiantly trying to save some fish out of water. An ISIL propaganda video staring British journalist John Cantlie held hostage since 2012 appeared on the Internet on Monday and sparked a public outrage over his detention. The Clarion casino-hotel in Las Vegas suffered the same fate as countless Sin City dreams – that is to say, it crumbled into dust before vanishing into the desert sky. The Russian Air Force used Mi-28N Night Hunter and Mi-8AMTSh Terminator helicopters during large-scale tactical maneuvers in Krasnodar Territory. Watch the video of the aircraft practicing to find and destroy aerial and ground targets. Diver Jonathan Gordon caught the stunning moment an octopus appeared seemingly out of nowhere. "I had literally no idea he was there until I was about a metre away," he writes about the moment this video was taken. 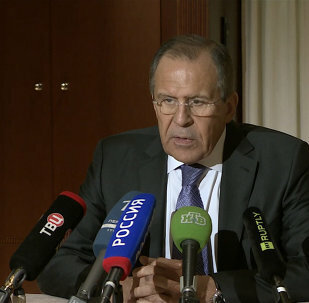 Following the talks of the foreign ministers from the 'Normandy Four', Russian Foreign Minister Sergei Lavrov told reporters about a major decision which was arrived at during the course of the meeting and noted that it corresponds to the plan proposed by President Vladimir Putin. German Minister of Foreign Affairs Frank-Walter Steinmeier has commented on the consequences of the failure to stick to the Minsk agreements on Donbass and reiterated his openness to find a solution to the conflict. 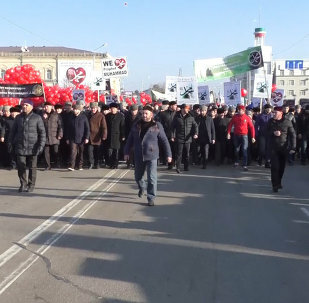 More than one million people attended on Monday a rally for Islamic values in Grozny. Watch the video of the demonstration held in the Chechen capital. EU foreign policy chief Federica Mogherini commented on the upcoming meeting between European Union foreign ministers. The faithful in Russian marked the Orthodox Epiphany with the traditional plunging into sanctified water. Watch the video of the ritual bathing held across Russia. 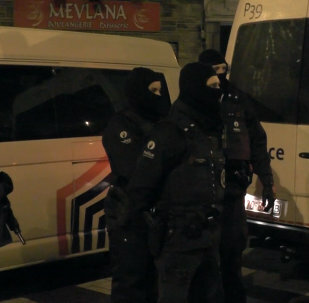 The Belgian authorities have carried out an anti-terrorist operation in the town of Verviers. 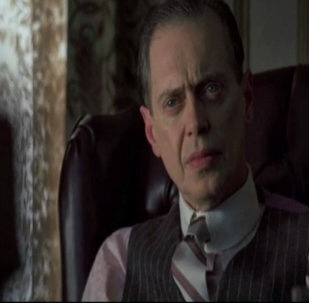 See the footage of the raid. Russian paratroopers conducted drills involving BTR-MD Rakushka at a training range in the Tula Region. See how this modified armored personnel carrier fared during an exercise in winter conditions. French Muslims shared their opinions on security measures that are being implemented in mosques, as well as on Islamic terrorists and on the equality of various religious communities. Vermont cops have finally solved the mystery of the laundromat urinator. The 29-year-old man was caught on video relieving himself into washing machines this past December. Smoke poured into the station of a Washington DC subway on the morning of January 12. Watch the video filmed by a witness. 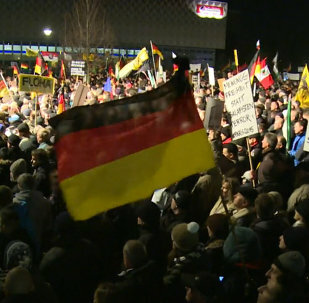 Reactionary movement PEGIDA held anti-Islam rallies in large German cities on January 12. Several counter demonstrations in support of the religion and tolerance were held across the country in response. Thousands of people with banners saying "Je Suis Charlie" (I am Charlie), "United Against Hate" and "Freedom of Speech" took to the streets of Brussels in a march of solidarity with the Paris terror attacks on Sunday.